Experience the "Hub" of Yellowstone Country, And while you're at it, learn about the entertainment and educational opportunities - and special events - that the West Yellowstone area has to offer. Biking: West Yellowstone Area/ Gallatin National Forest/ Lee Metcalf Wilderness. Blue skies. The sound of nature. Acres of forest. The wonders of Yellowstone National Park. Come discover the riches of West Yellowstone, Montana that are not on the beaten path. Exploring the West Yellowstone area by bicycle can be a rewarding experience. Help safeguard our national resources  water, scenery, wilderness, wildlife, and timber. Some guidelines govern your use of this area. Possession or use of bicycles of any kind in a Classified or Designated Wilderness area is prohibited. Cyclists wishing to ride in the National Forest around West Yellowstone are requested to check in at the Gallatin National Forest Visitors Center before entering the area. This enables National Forest rangers to inform users what areas are currently closed as well as covering further regulations. You are in bear country. Grizzlies make their home in our area, and there are travel and came management practices to follow in order to avoid conflicts with them. In certain grizzly bear use areas, these practices are legally required. Please check with the Gallatin National Forest Visitors Center for details. Avoid introducing and spreading non-native weed species. Please wash your bicycle thoroughly before entering any National Forest Service land. Trail conditions vary according to a wide variety of factors. Some trails are infrequently maintained or are unsuitable or unsafe for some modes of travel. Visitors should contact the Gallatin National Forest Visitors Center for current trail conditions and trail use restrictions. Backcountry travelers may encounter a variety of dangerous conditions. It is the travelers responsibility to be informed about these inherent risks and take appropriate precautions. Wherever you choose to ride on the West Yellowstone area, please remember that wildlife is unpredictable and dangerous. Do not approach bison or other wildlife. If an animal reacts to your presence, you are too close. From Parking Lot to Trail Head: 1.2 km. Dead Dog Loop: 5.9 km. Windy Ridge Loop: 8.3 km. View Yellowstone National Park from a whole new perspective. Bike it! You may use bicycles in the Park on established public roads, parking areas, and designated bike trails. There are no bicycle paths along roadways. Bikes are prohibited on backcountry trails and boardwalks. Additional maps, information and regulations for an enjoyable cycling experience through the Park are available at any ranger station, visitor center, or by phone, 24 hours a day. Contact TW Recreational Services, 307-344-7311. In the park, call 307-344-7391. Interested in renting instead of bringing your own bike? Mountain bike rentals are available locally. Boating: The area's alpine lakes - Henry's Lake, Hebgen Lake, Cliff & Wade Lakes, Earthquake Lake, and Island Park Reservoir; and Yellowstone Lake inside Yellowstone National Park - offer excellent recreational opportunites for boating, swimming, water skiing, fishing, and sightseeing. Whatever your boating pleasure, our area's lakes will provide you with the memories of a lifetime! Big blue skies. The sound of nature. And lots of fish- 3,000 per mile in the best Yellowstone Country streams! Come discover the clear waters of West Yellowstone, Montana. In Yellowstone Country, 1,000 miles of blue ribbon trout streams provide anglers with hours of fishing pleasure. The waters of Yellowstone are clean and clear, promising tranquility and incredible views. For more private fishing, test the hundreds of miles of virgin waters where wild trout have not learned the tricks of the anglers. You may want to cast from the shores of the Golden Trout Lakes, or test your luck in Yellowstone National Parks Slough Creek. These quieter waters swimming with fish are not packed with people, so an angler can enjoy a peaceful and relaxing fishing venture. In addition, visit the popular Yellowstone, Gallatin, and Madison Rivers and cast into Montanas beautiful Wade, Cliff, Hidden, Elk, Earthquake, and Hebgen Lakes. Within a short drive, anglers can test the waters of Henrys Lake, and Henrys Fork and also the 220,000 acres of water in Yellowstone National Park. Slough Creek  rises in the Beartooth Range and meanders to the Lamar Valley. The stream is filled with cutthroat trout and rainbow trout. Animals and birds, along with breathtaking scenery, make your fishing experience enjoyable and memorable. The beauty of nature soothes and calms. A trip to Slough Creek will take the wrinkles out of your soul. Henrys Fork of the Snake River  is perfect for the angler who hates crowds and longs for solitude in exquisite surroundings. Charles E. Brooks, author of Fishing Yellowstone Waters, describes Henrys Fork as "
the best trout stream and lake in the forty-eight lower states." Along with Snake River, numerous camping opportunities exist. Quake Lake  is the aftermath of the powerful earthquake of 1959. The Madison Rivers continues through the lake to the peaceful Madison Valley. Brown and Rainbow trout are the main catch at Quake Lake. Campgrounds, docks, and boat ramps are available to all visitors. Madison River  is one of the regions best-known rivers. Mountain whitefish, rainbow trout and brown trout are abundant in the flowing waters. Conveniences including vehicle access, campgrounds, restrooms, and boat ramps are available. Yellowstone River  is the longest free-flowing river in the lower forty-eight states. Some of the finest fishing is found between the banks of the Yellowstone due to the large numbers of mountain whitefish, cutthroat trout, brown trout, rainbow trout, and burbot. Catch fish and stay overnight! Campgrounds, vehicle accesses and boat ramps are available for daily and overnight guests. Visit the Gallatin River and its brook trout, mountain whitefish, brown trout, and rainbow trout. The Gallatin River provides campgrounds, vehicle access with some motor restrictions. All anglers 15 years of age and older are required to obtain a Montana fishing license and conservation license. (Restrictions apply to non-resident anglers under the age of 15.) The license year runs March 1st through the last day of February of the following year. Licenses are available at ranger stations, visitor centers, service stations, all offices of the Montana Department of Fish, Wildlife and Parks and, in the Yellowstone Park area, Hamilton General Stores and Bridge Bay Marina. The Yellowstone National Park fishing season begins the Saturday of Memorial weekend and continues through the first Sunday in November. Golfing: Big Sky Golf Course is located 47 miles north of West Yellowstone. One of the finest courses in Southwest Montana, this 18 hole, par 72 course was originally designed by Arnold Palmer. Enjoy a round of golf among soaring mountain peaks. Just 12 miles south in Island Park, Idaho is another great 9 hole course . Island Park Village Resort Golf Course is situated along the banks of the Henry's Fork Outlet, and has several great water hazards. Hiking: Enjoy the many hiking opportunities in nearby Yellowstone National Park and in the nearby Gallatin National Forest. Hundreds of Nordic skiers come to West Yellowstone each year. Located in Yellowstone country, Montana, West Yellowstone is an official training site of the United States Nordic and Biathlon Ski Teams. From the Fall Training Camp in November to the Rendezvous Ski Race in March, West Yellowstone offers something for everyone. Nordic skiers of all abilities will find our early snowfalls, gentle terrain and limitless trails the perfect setting for a memorable ski vacation. Enjoy the grandeur of Yellowstone National Park and millions of acres of pristine national forest lands while skiing groomed trails or touring ungroomed backcountry. Over 30 kilometers of premier trails in Gallatin National Forest. They are professionally groomed from early November through April with both diagonal stride tracks and a twelve-foot skating lane. 1.2 km. Flat terrain. South edge of West Yellowstone at Geyser and Obsidian Streets. Setting out from the parking lot, the starting point for this trail is clearly marked by a log arch. 0.9 km. Flat terrain. Located along the Approach Trail, these short, fun loops connect to a play hill. 2.3 km. Begins at trailhead. This twisting, turning, dynamic trail has continuous rolling hills and boasts spectacular views of Mt. Holmes in the Gallatin Range in Yellowstone National Park. Returns to Rendezvous Loop at first cutoff where you may return to trailhead (1 km.) or continue outward bound on Rendezvous. 5.9 km. Begins at Intersection #11 at top of U.S Highway 191 Hill. This more challenging loop takes you through forest and meadow with rewarding views of the Gallatin Mountain Range and Yellowstone National Park. Rejoins Rendezvous at Intersection #10 at base of Highway 191. 8.3 km. Ungroomed. Experienced skiers only. Begins at Intersection #13. Allow ample time to experience the exciting down hills and beautiful scenery of this long, difficult trail. Water and food should be carried. Rejoins Dead Dog at Intersection #12 where you may return to Rendezvous on the shot two-way section or continue on Dead Dog. Ski into Yellowstone National Park from trailheads north of West Yellowstone along U.S Highway 191 and return in your own tracks. Begins near Biathlon Cabin. This trail skirts Rendezvous wood and gently climbs rolling hills through meadows, affording expansive views of the Madison Mountains and the Lions Head area. Returns to the Biathlon Cabin for a short 0.2-km. ski back to the trailhead. Mile post 18. West Side of US Highway 191. A well-kept secret. As you gain elevation, test your telemark skills on these gentle to steep slopes while enjoying views of the Madison and Gallatin Mountains. Mile post 20. Small parking area at trailhead. This trail cuts east across flats into woods and along the Gallatin River. Watch for moose, elk, eagles, and coyotes. Mile post 22. Large parking area at trailhead. This popular ski trail crosses the Gallatin River and gently gains elevation through woods and meadows. Great wintering area for elk. Connects with Bighorn Pass Trail at 8 km. Mile post 27. This enjoyable trek follows Specimen Creek as it gradually rises through forest and meadows. Look for elk, moose and standing petrified trees on exposed ridges above you. No skating, please. Partially machine groomed with a flat, double tracked, machine groomed approach trail. Begins just inside Yellowstone-most skiers begin ion the east edge of West Yellowstone at Boundary and Madison Streets. Look for the orange trail sign between the snow piles. Treat yourself to the splendor of the Madison River and impressive views of Mt. Holmes and the Gallatin Mountain Range. Exceptional wildlife viewing of bison, elk, and possibly moose can be found along the Madison River. 2.5 km. Take this short cutoff trail up the first hill by the river. 5.9 km. This trail will take you through more varied landscape, from lodgepoll forest to the flats along the river. Youll find a cutoff trail up the steep bench about half way around the loop. Both loops require a traverse up and across a short, steep hill. Touring equipment is recommended to complete the loops. Or, you can return along the machine-groomed trails. Groomed and ungroomed trails. The Ranch Loop is easy, Thurman and Silver Lake loops are moderate and the Ridge loop is difficult with a few steep hills. The entire outer loop system is about 8 miles. All trails allow a skier to experience a variety of terrains  open flats gradual climbs through trees, ridge overlooks, and sloping downhill. Heading north, after one mile, the trail takes you to several old buildings, once headquarters for the Railroad Ranch. One now serves as a warming hut. Free Site. If you ski without a guide, make sure you have a thorough knowledge of the area, the weather, you equipment and your stamina. Carry extra dry clothing, food, water, maps, matches, first-aid and ski repair kits for a safe trip. There are many businesses in west Yellowstone that do snowcoach tours. Check our travel planning section to find one thats right for you! There are over 300 miles of groomed snowmobile trails outside of Yellowstone Park. With endless play areas filled with deep powder or smooth groomed trails you will find what you are looking for. The trails within Yellowstone are also groomed on a routine basis. Typically held the 3rd Week in March. One of the largest Snowmobile Expos is held in West Yellowstone. 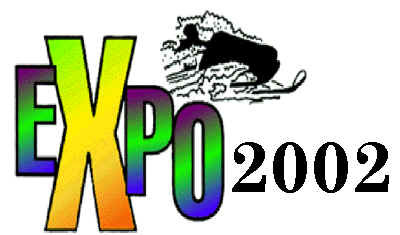 Click the button below to see all the details on the latest EXPO Website. The Yellowstone Rod Run is the "Oldest Rod Run in the Pacific Northwest". Typically this event takes place the first weekend in August. This event brings Street Rods, Customs, and Special Interest Vehicles to the streets of West Yellowstone. For four full days there is poker runs, tours, games and other events that lead up to the big show on Sunday. Click here to visit the Rod Run Website. Typically this event takes place the first weekend in October. The annual Yellowstone/Old Faithful Fall Cycle Tour will kick off on October 6th. Named 1998's "Road Tour of the Year" by Cycling Utah. Sponsored by the West Yellowstone Chamber of Commerce. Tyically held the 3rd week in August, come see Yellowstone from the perspective of the Mountain Man. A week long gathering of trappers and traders that both the young and the old will enjoy. This event takes place at the old airport.